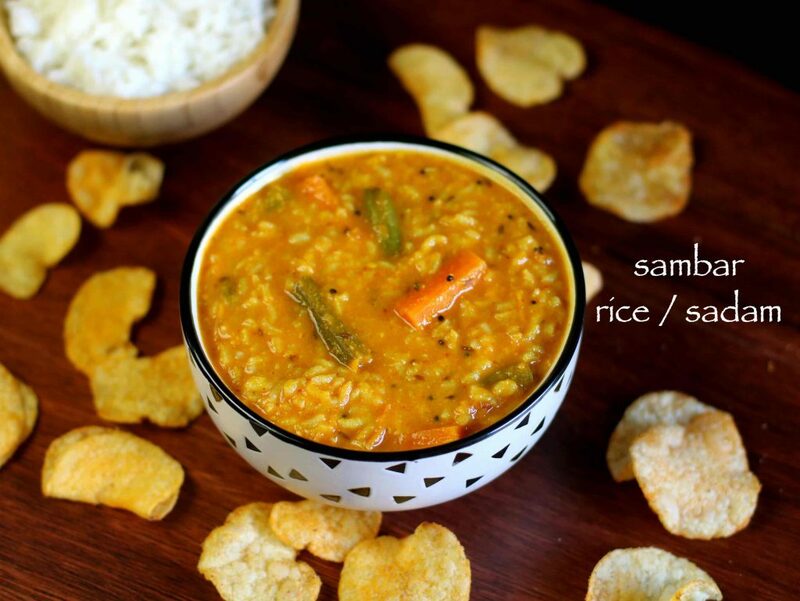 sambar rice recipe | sambar sadam recipe with detailed photo and video recipe. 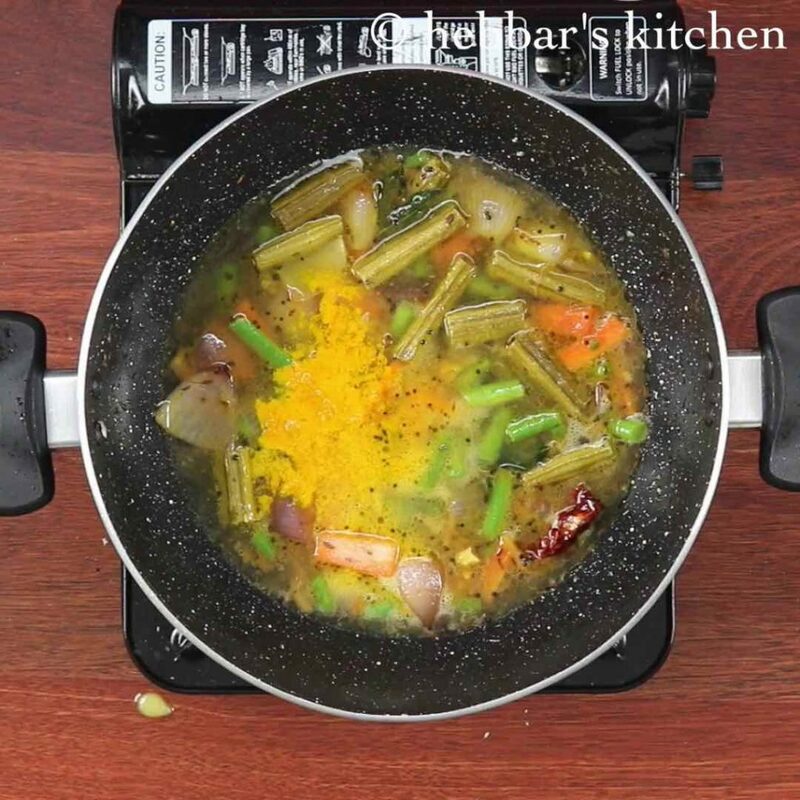 basically, sambar rice recipe is prepared by mixing rice and sambar with choice of vegetables. it is an ideal lunch box recipe which has a similar characteristics to karnataka special bisi bele bath yet completely different meal altogether. 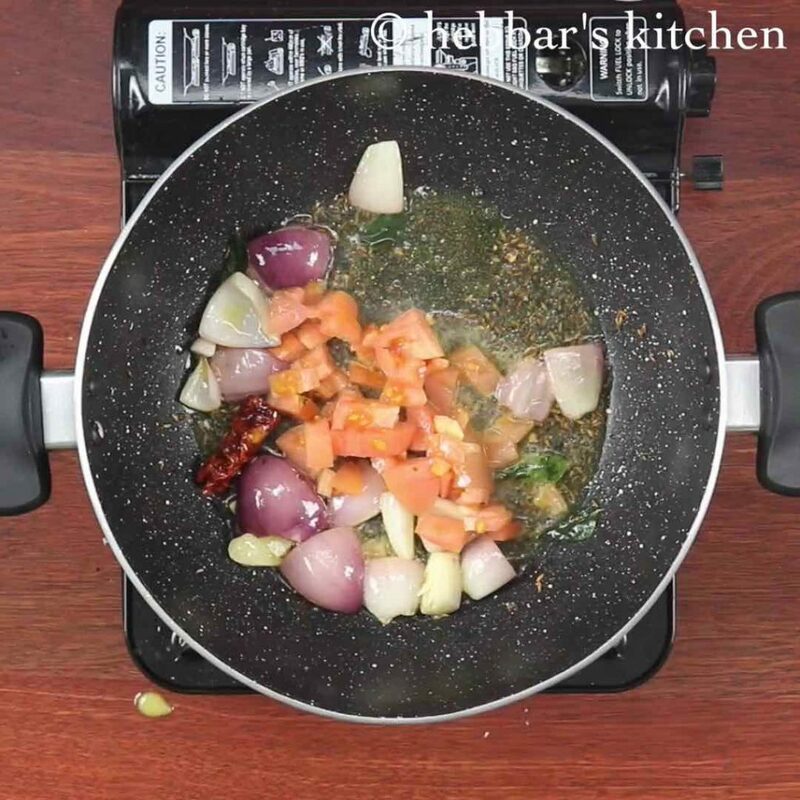 sambar rice recipe | sambar sadam recipe with step by step photo and video recipe. 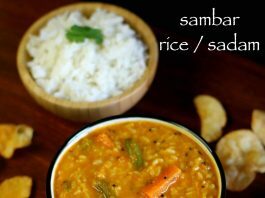 basically, sambar rice is combination of rice and sambar which is cooked with vegetables. 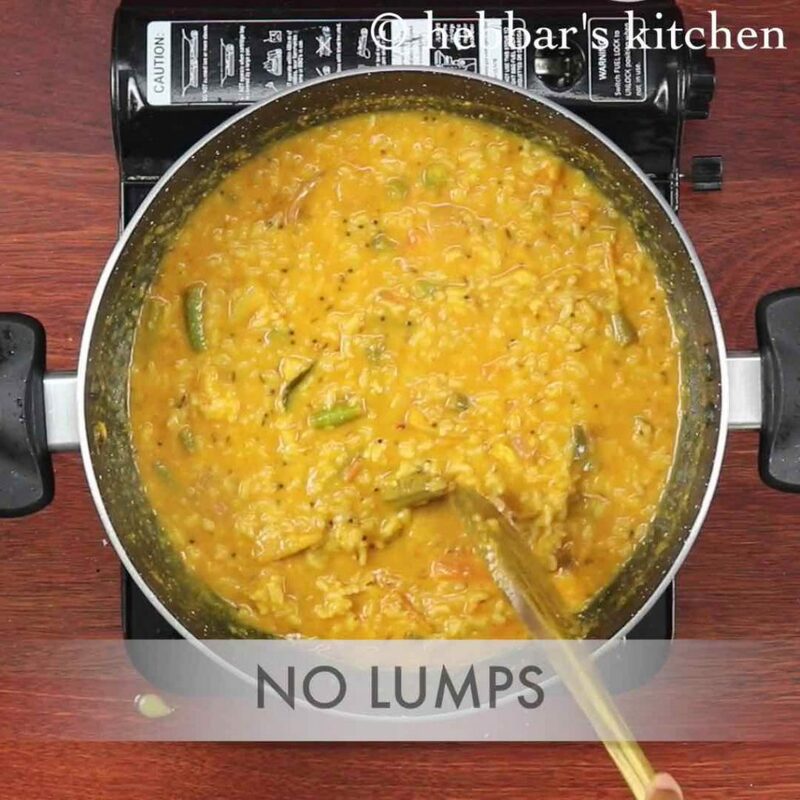 in other words, sambar rice is prepared by cooking together the lentils, vegetables, rice and sambar powder. due to its simplicity and amazing taste, it is very popularly served in many south indian restaurants. especially for breakfast, lunch and dinner with tomato onion raita. i was always under impression that bisi bele bath and sambar rice are one and the same. however, my assumption was corrected by one of my tamil friend. 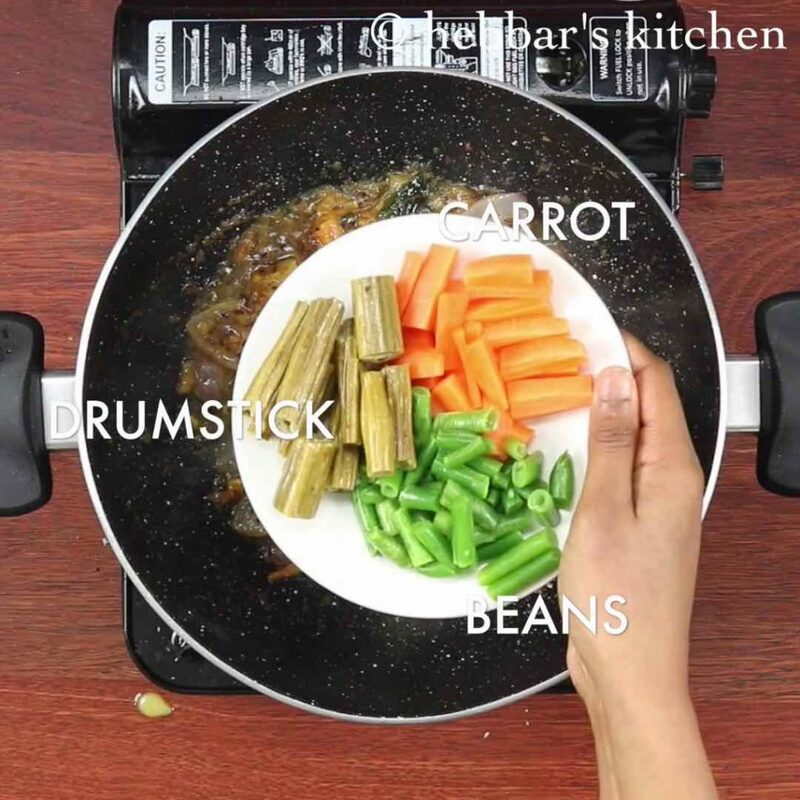 i was really surprised to learn the simple process of sambar rice recipe. while, we add the bisibele bath masala powder in bisi bele bath recipe. however, we add just sambar powder or freshly prepared masala paste in sambar sadam recipe. 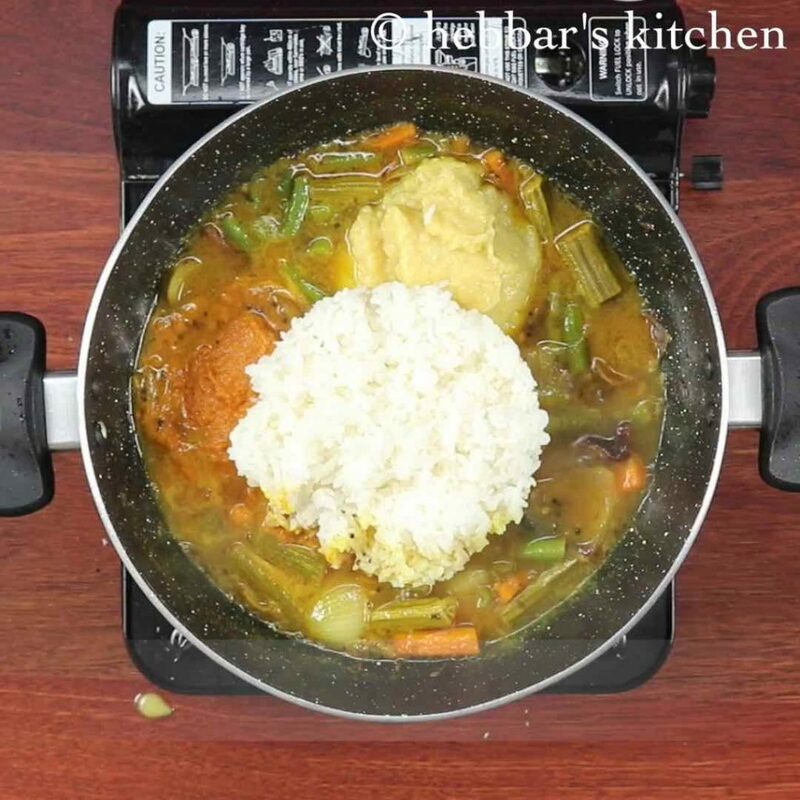 moreover, you can separately cook the sambar and then mix it with rice. even this would result in an amazing sambar sadam recipe. furthermore, sambar sadam can be easily prepared in jiffy during busy mornings for lunch boxes. in addition, i find the biggest advantage of sambar rice is while packing the lunch boxes. basically, you do not need separate containers in lunch boxes for rice and sambar. probably, this may not be big savior for others. but i save a lot of time especially with cleaning, packing and organising. 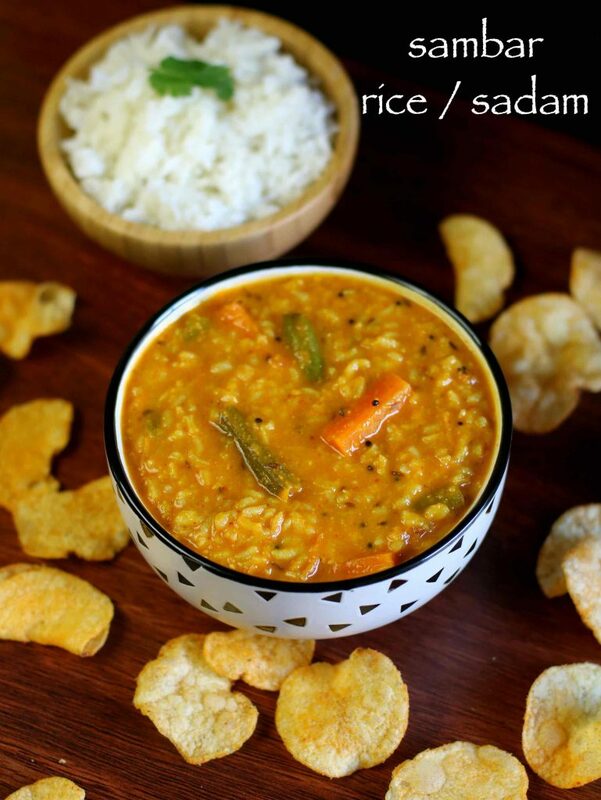 perhaps, even you may save time by preparing this yummy sambar rice recipe. in conclusion, i want to highlight my other rice recipes collection before jumping to the recipe. specifically, puliyogare, pulihora, coconut milk pulao, coriander rice, ghee rice, mushroom pulao. also, check out my other exotic rice recipes like paneer biryani, veg dum biryani, jeera rice, tawa pulao and schezwan fried rice. 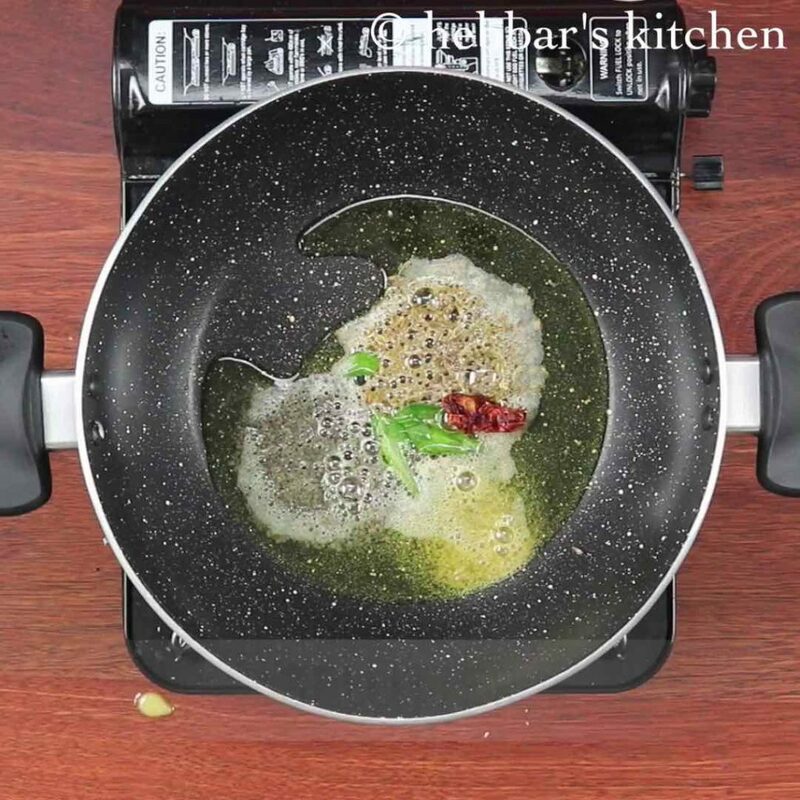 firstly, heat a pan with some oil. and saute all ingredients listed for masala. add in required water, and blend to smooth paste. keep aside. further, in a kadai heat 2 tbsp ghee and add tempering ingredients. further add onion petals and saute for a minute. also add tomatoes and saute. now add chopped vegetables, water, turmeric and salt. 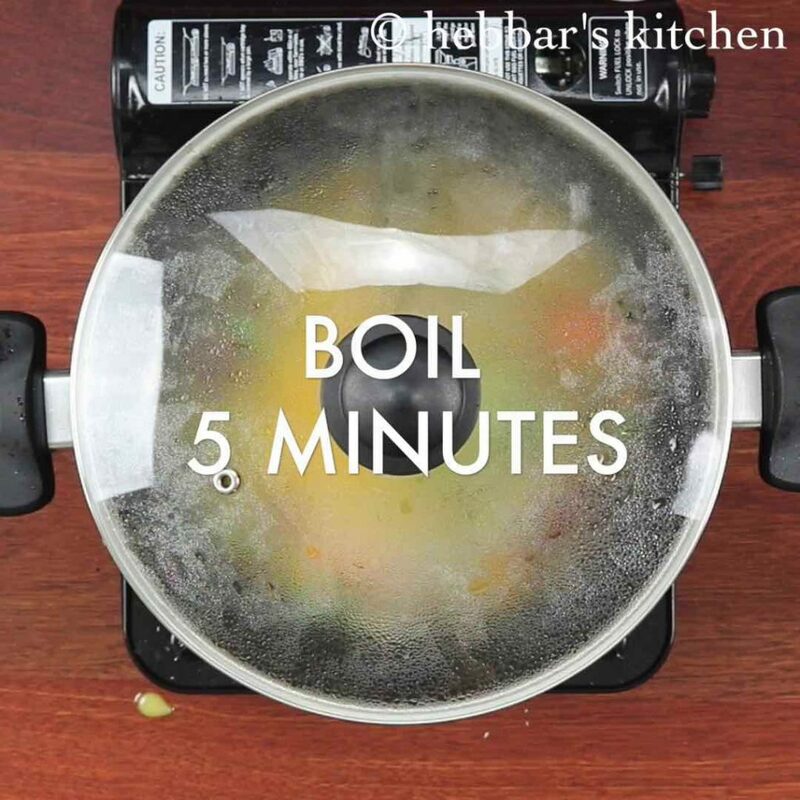 cover and boil the vegetables for 5 minutes. furthermore, add cup tamarind pulp and jaggery. boil well. add in prepared masala paste, cooked toor dal and cooked rice. mix all the ingredients well and adjust consistency by adding water if required. 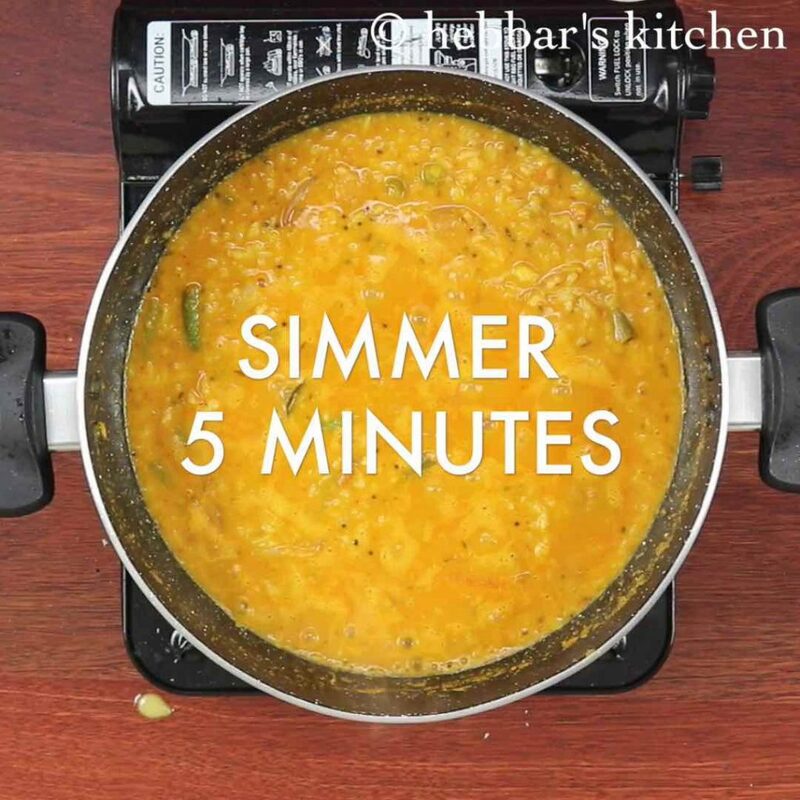 simmer for 5 minutes or till the sambar rice thickens slightly. finally, serve sambar rice / sambar sadam topped with some fresh ghee and chips. 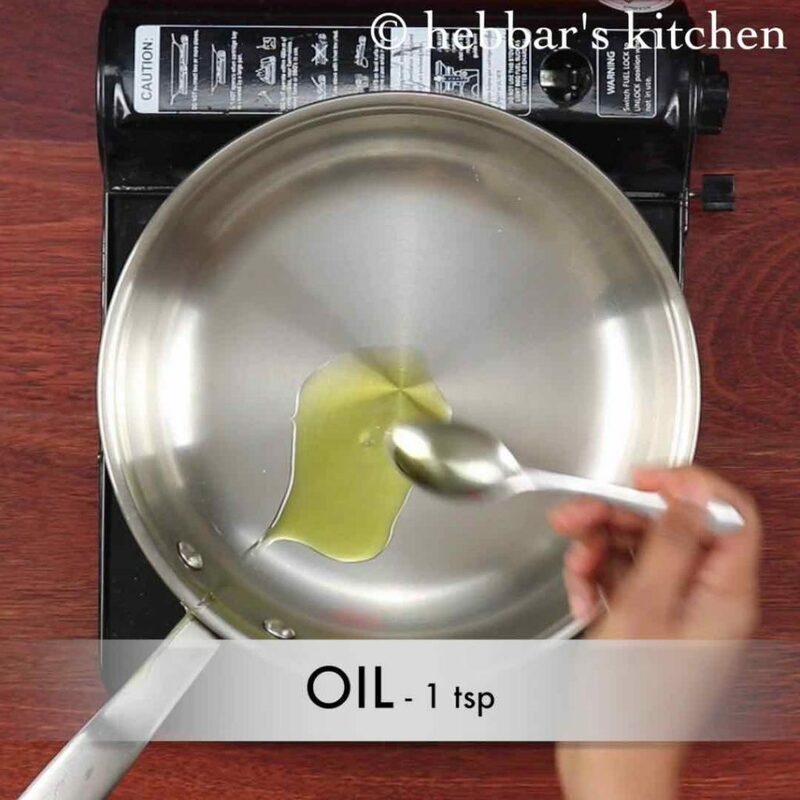 firstly, heat a pan with some oil. 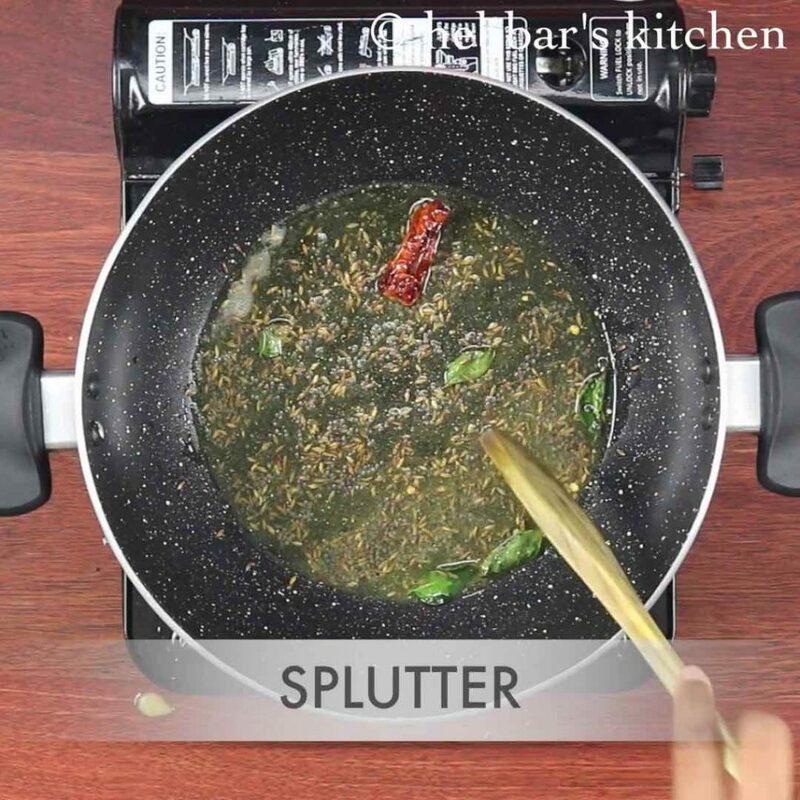 saute in 1 tsp coriander seeds, ½ tsp urad dal, ½ tsp chana dal, ¼ tsp methi and 5 dried kashmiri red chilli. further add in few curry leaves and 2 tbsp coconut. 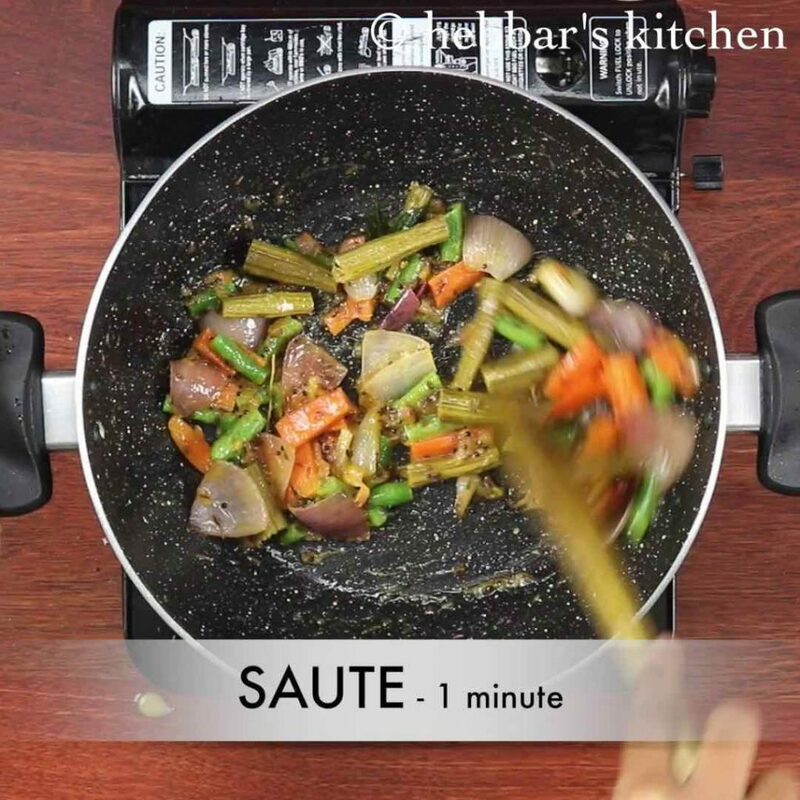 saute for a minute. cool the masala completely and transfer to the blender. firstly, in a large kadai heat 2 tbsp ghee. 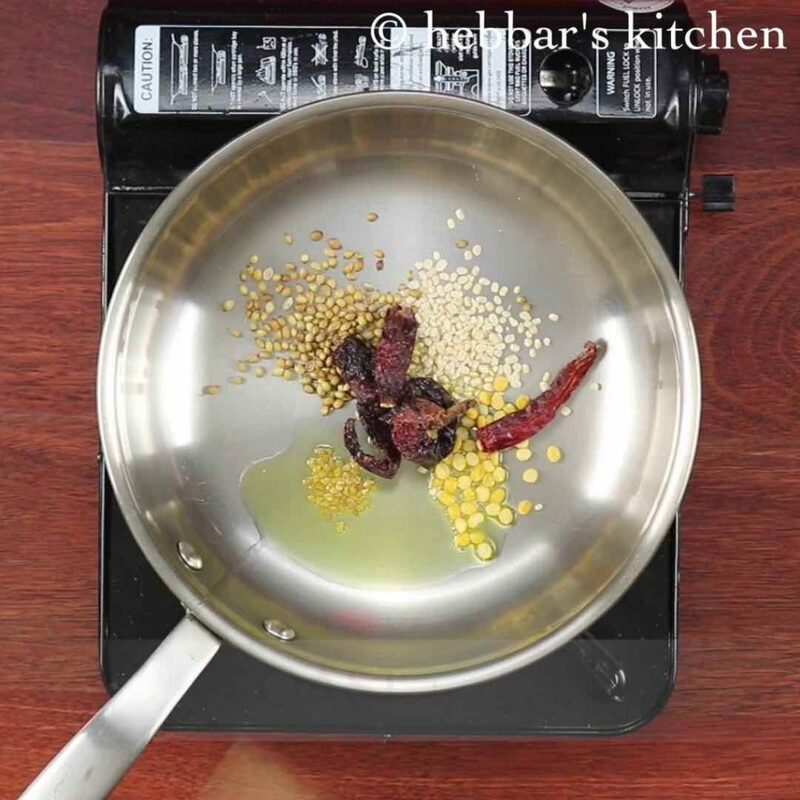 also add ½ tsp mustard seeds, ½ tsp jeera, pinch of hing, few curry leaves and 1 dried kashmiri red chilli. 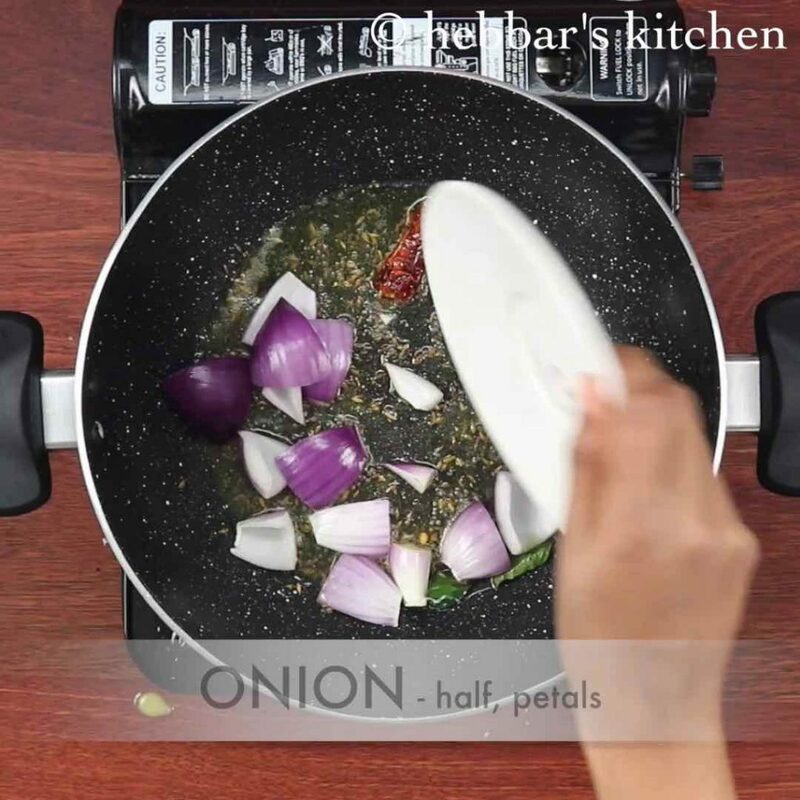 further add ½ onion petals and saute for a minute. also add ½ tomatoes and saute till the tomatoes turn soft and mushy. now add 2 cups of chopped vegetables of your choice like carrot, beans and drumstick. furthermore add 1 cup water, ½ tsp turmeric and salt to taste. 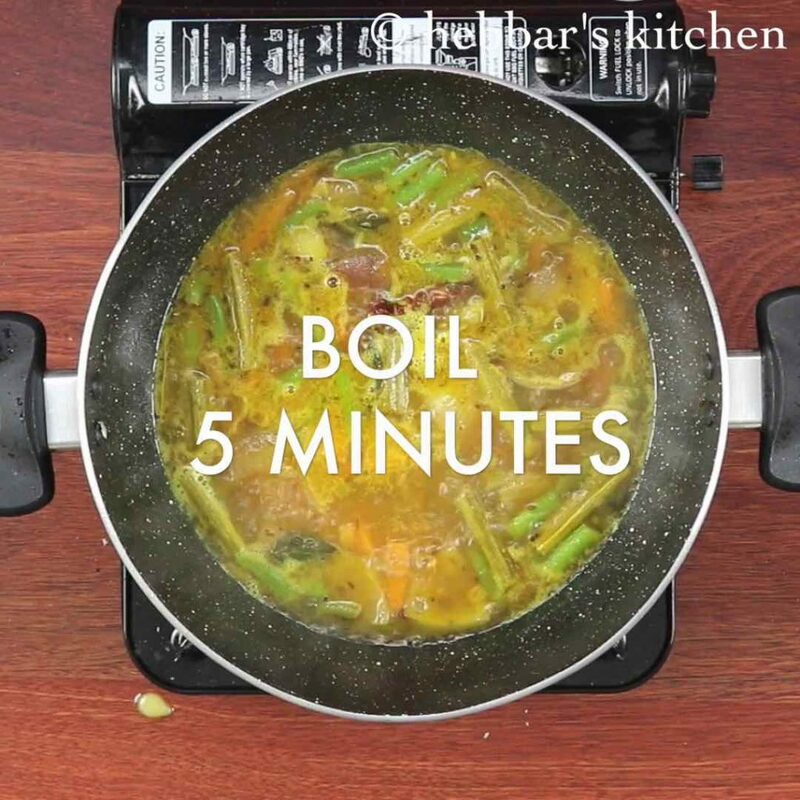 cover and boil the vegetables for 5 minutes or till they are cooked well. now add ¼ cup tamarind pulp and ½ tsp jaggery. again boil for 5 minutes or till the raw flavour from tamarind goes away. add in prepared masala paste, ½ cup cooked toor dal and 2 cups cooked rice. firstly also add vegetables like potato, peas and cauliflower. 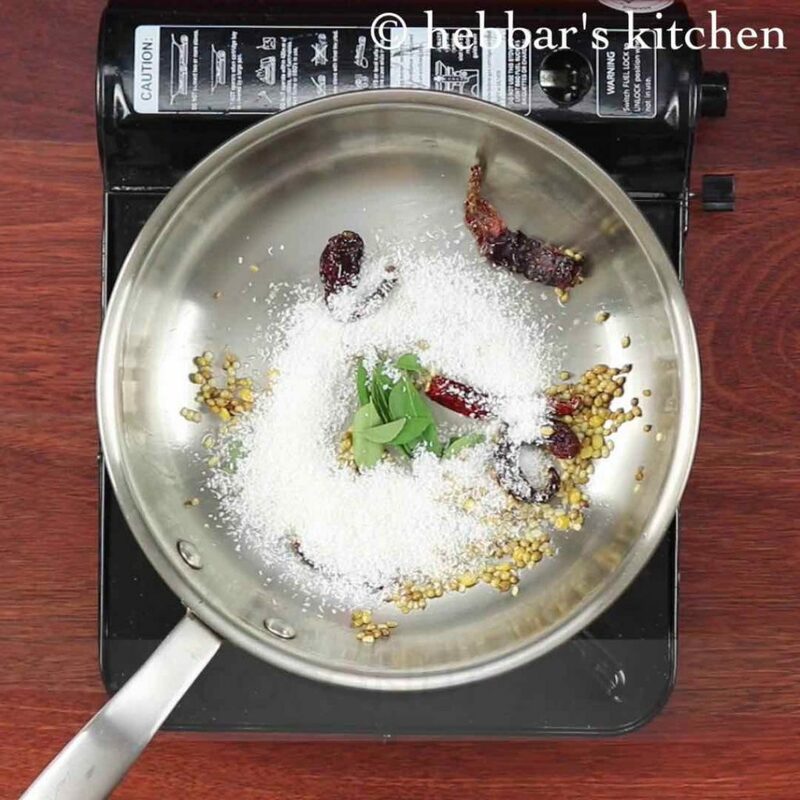 additionally, instead of freshly preparing masala paste, alternatively use sambar powder. 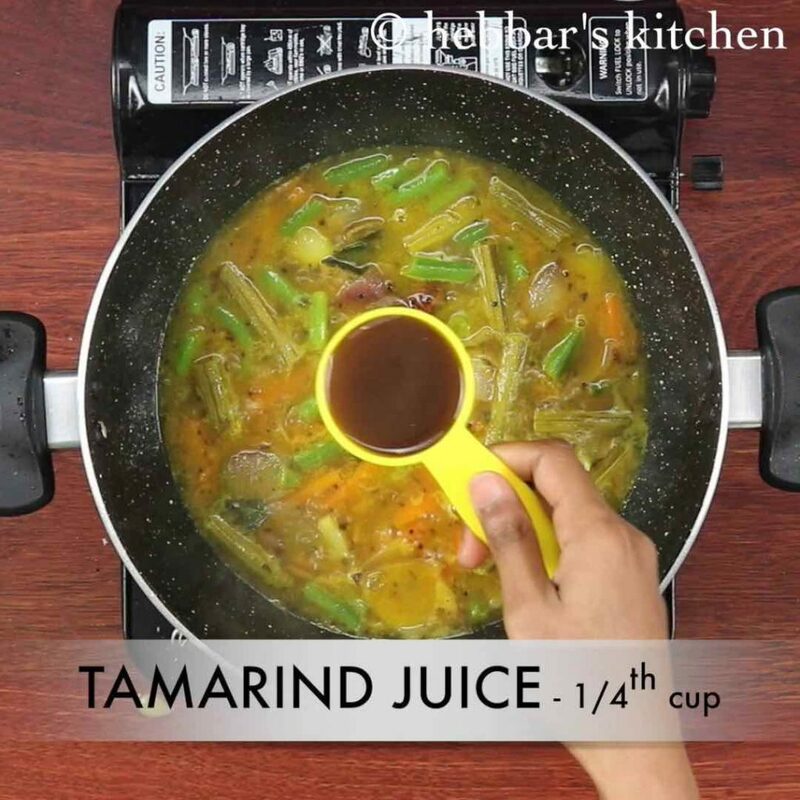 also, boil the vegetables well before adding tamarind juice. as vegetables will not cook once tamarind juice is added. finally, sambar rice / sambar sadam thickens once cooled, add water to adjust consistency. Awesome!! Archana aware I am from Hubli Karnataka. Currently living in the USA. There are many sites that show authentic North Indian dishes. 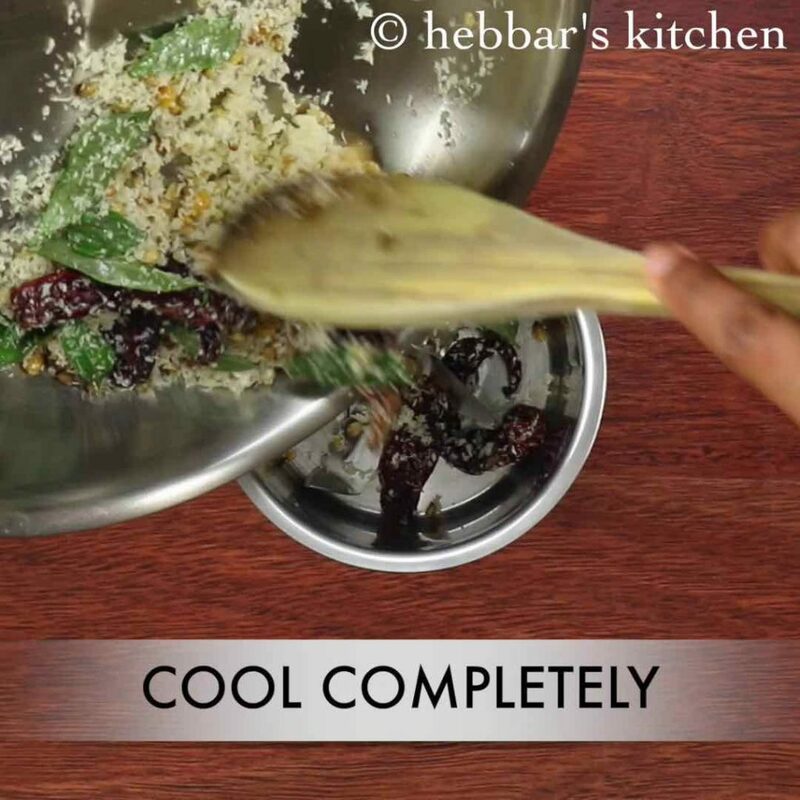 Your page Hebbar’s Kitchen has a good collection of South Indian recipes, including chutneys!! I had a big problem deciding my 7 yr old’s lunch box recipes. Not any more 🙂 love the app. And your videos are fun too. Congratulations. I follow your app for all my recipes. I understand it can be annoying… Its only source of income to maintain these expensive servers for my website and mobile app. Hope you understand. ?